After returning home I opened the second Elfster gift I received. 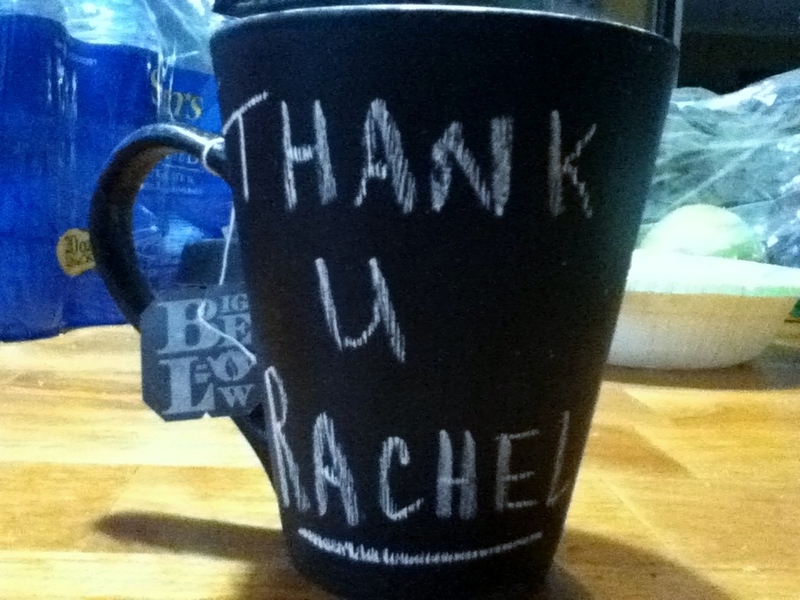 Such a cute little gift and easy to make for any tea or coffee drinkers! Anyone else making gifts this year? Night Owl Kitchen • This entry was posted in Just For Fun and tagged chalkboard mug, Elfster, Gift, Gift economy, gift exchange, gift ideas, handmade gifts, homemade gifts, Pinterest, Secret Santa, Shopping. Bookmark the permalink.